Happy Thursday! We are close to the weekend! Let's celebrate with a giveaway, shall we? You are going to love today's giveaway from Ellis G Designs - an Etsy shop that sells the cutest headbands, bow ties, ties, dog collars and more. They come in the cutest seersucker or gingham fabrics, in a variety of colors. And...you can get them personalized with a monogram! 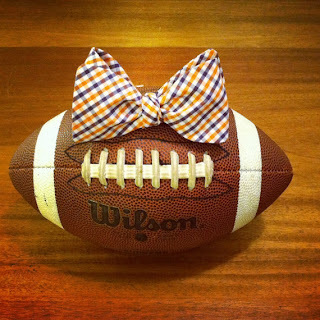 Ellis G Designs has recently launched a collegiate line and they want to celebrate by giving a very lucky Clemson Girl reader an orange and purple gingham headband and a matching orange and purple gingham bow tie! 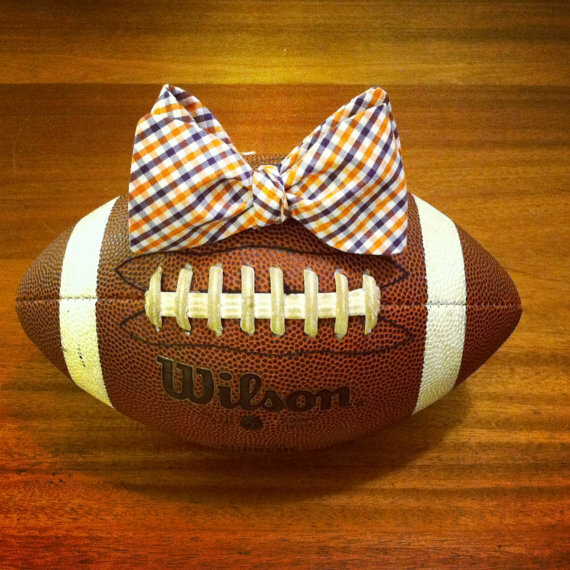 This would be so cute for you and your special someone on gameday - or for your little tiger fans on gameday. Deadline for all entries is tonight, June 14 at 7pm EST. We will compile all of the entries, draw a winner, then announce the winner on the blog soon after the deadline. The winner has 48 hours after we post their name to contact us or we will draw a new winner. Thanks so much to Ellis G Designs for sponsoring today's giveaway! Good luck ladies! I shared about giveaway on my FB page!